This year's Boao Forum for Asia (BFA) Annual Conference will be held on March 26-29 in the town by the same name in Hainan Province. Founded in 2001, the BFA is a nongovernmental, nonprofit international organization committed to promoting regional economic integration. Ahead of the conference, Zhou Xiaochuan, Vice Chairman of the BFA, shared his views on the world economic situation and the BFA's role in promoting common development with Beijing Review reporter Wang Hairong. 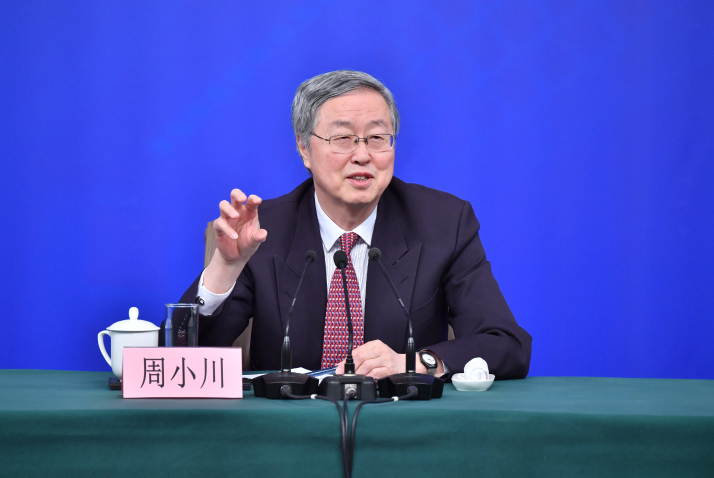 Zhou is also the chief representative of China to the forum and former governor of the People's Bank of China. Beijing Review: The BFA has become an important platform for promoting globalization and the development of Asia and emerging economies. Can you explain its role? Zhou Xiaochuan: The BFA is a high-level dialogue platform with unique advantages. Over the years, it has been committed to promoting economic integration in Asia as well as globalization, which are the focus of its annual meetings. Taking into consideration the challenges facing the world economy and regional cooperation, we set the theme of this year's annual meeting as Shared Future, Concerted Action, Common Development. As an open and inclusive platform for discussion on promoting regional and world economic growth, the forum will build consensus on globalization, free trade, multilateralism and global governance, and offer fresh ideas on innovation and structural reform. This year's BFA will feature dozens of sub-forums, which will shed light on the trend of Asian and global economies from different perspectives. In addition, the BFA will release relevant research reports and host thematic activities in collaboration with its partners. This year's annual meeting is the first after a new board of directors took office last spring. What will be new at the forum? In addition to continuing in-depth discussions on key areas it has focused on over the years, such as economy, finance and trade, this year's forum will also cover topics such as innovation, health, culture, education and media. These issues matter to economic growth and global development. Some of these topics are interdisciplinary. For example, BFA Chairman Ban Ki-moon proposed a sub-forum titled A Sustainable Future for Rural Asia and Cities, which will look at rural vitalization and smart-city construction from a future perspective. The sub-forum will cover areas like urban planning and governance, the application of new technologies in the digital age, the development of creative industries and the preservation of cities' cultural characteristics. In addition to the annual meeting, the BFA is also actively cooperating with some well-known institutions to organize a series of special events. For example, it initiated a Global Health Forum in 2018, which will debut in Qingdao (east China's Shandong Province) this June, with preparations presently underway. The BFA has maintained good cooperation with the media and will soon launch some online and offline projects to promote media exchanges and training in Asia. In the fields of education, science and technology, and culture, the BFA has introduced, and will continue to introduce specific programs to promote dialogue and cooperation in related fields. The themes and topics of the BFA Annual Conference are usually formulated in light of the world and Asian economic situation. How would you evaluate the current situation? Since the outbreak of the global financial crisis a decade ago, countries have worked together to help the global economy out of the crisis. Global economic growth returned to pre-crisis levels in 2017. A synchronized global economic recovery greeted the start of 2018, but it suffered a series of shocks later in the year. Global trade frictions escalated, the U.S. Federal Reserve raised interest rates four times, currencies in many emerging economies depreciated sharply, oil prices plunged and global stock markets tumbled. A very important reason giving rise to these phenomena is that in the decade after the outbreak of the global financial crisis, many countries neither carried out enough structural reforms nor properly solved the problems of weak endogenous economic power and social polarization. As a result, economic globalization became the scapegoat, while global populism, unilateralism and trade protectionism are on the rise, posing challenges to existing international economic, trade and financial systems. The International Monetary Fund (IMF) toned down the expected global economic growth rate for 2019 and 2020 to 3.5 and 3.6 percent. Thus, the international community needs to make great efforts to remedy and improve the situation. Nevertheless, despite these changes, in the past year the Asian economy showed strong resilience and realized overall good performance. Asia was still the fastest growing region in the world economy, contributing more than 60 percent to world economic growth. The IMF estimated that Asia grew at 5.6 percent in 2018 and would grow at 5.4 percent in 2019. Despite downturn pressure from external risks, high savings and investment rates, balanced current accounts, sustained investment in human capital and technological innovation, and the Regional Comprehensive Economic Partnership (RCEP) under negotiation will become important forces driving sustainable development in Asia in the future. What has caused increased instability and uncertainty in world economic development? Structural problems in various countries, coupled with the escalation of global trade frictions, tightening financial conditions and increasing fluctuations in exchange rates and asset prices in 2018, have led to a deterioration of the external development environment for countries and increased instability and uncertainty in world economic development. The escalation of trade frictions has become a major disturbance for the sustainable growth of the global economy. Since 2018, the U.S. has imposed tariffs on a variety of imports, triggering countermeasures by trading partners and resulting in a tense global trade situation. In the third quarter of 2018, the growth rate of new export orders slowed down significantly, with the Global Trade Outlook Indicator dropping to 100.3, approaching a tipping point between boom and bust. Increased trade tensions can directly deflate business and market confidence as well as weaken investment and trade. Increased trade barriers can also increase commodity transaction costs, reduce the efficiency of global resource allocation, disrupt global supply chains and hinder the dissemination of new technologies, thereby reducing productivity. In the long run, trade tensions could cloud the medium-term growth prospects of the global economy. The tightening of global financial conditions is a significant external factor affecting the steady growth of emerging market economies. After the global financial crisis, major countries implemented a long-term quantitative easing monetary policy, and as a result, low-cost capital flowed into emerging market economies on a large scale. In 2018, as the U.S. Federal Reserve hiked interest rates more frequently, as the U.S. dollar strengthened and as the European Central Bank sent signals to stop quantitative easing, global financial conditions gradually tightened, exposing emerging market economies to increased financing difficulties and financial market shocks. In addition, trade frictions and geopolitical risks have created fluctuations in commodity prices. Exchange rates of emerging market economies such as Argentina, Turkey and South Africa fluctuated dramatically, greatly affecting the stable development of the domestic economy. Financial markets in some Asian economies with better domestic economic fundamentals have also been affected by spillover effects. In addition, disruptive technological innovation, while promoting leapfrog economic development, has also created many difficulties for policymakers. Artificial intelligence, block chains, big data, cloud computing and other disruptive technologies have spawned a variety of businesses, rapidly changed people's way of life and work, reconfigured the value system and inspired new products and services. However, disruptive technological innovation can also be used to evade traditional regulation. For example, the vigorous development of financial science and technology has brought about such thorny and wide-ranging problems as the distortion of market supply and demand caused by high-frequency transactions, the use of virtual money for illegal transactions, the leakage of consumer financial data and cyberattacks on important financial infrastructure, which may cause significant risks. Given unstable and uncertain economic growth prospects, how should globalization be promoted and international economic rules improved? The international community should adhere to multilateralism, work together to promote globalization, improve global trade rules and return the world economy to the track of strong, sustainable, balanced and inclusive growth. Currently, it is urgent to reform the World Trade Organization (WTO) and safeguard the multilateral trading system. WTO reform cannot be accomplished by one country or one party alone; multilateral discussions and consensus are needed to promote it. WTO members need to deepen mutual understanding and cooperation, jointly safeguard free trade, actively explore ways to improve trade negotiation frameworks and establish a new global trade order as soon as possible. At the same time, the international community should continue to reform the international monetary system and build a global financial safety net. As the core institution of this safety net, the IMF needs to ensure sufficient liquidity, while also improving the flexibility and pertinence of loan conditions. Asia, Europe, Latin America and BRICS countries (Brazil, Russia, India, China and South Africa) are also constantly improving arrangements for providing financial assistance at the regional level. Since 2008, more than 70 swap agreements have been signed between more than 50 central banks around the world, stabilizing market confidence. In addition, more equitable globalization should be promoted by strengthening infrastructure interconnection. According to World Bank estimates, about 60 percent of the world's economic output comes from coastal areas lying within 100 km from the coastline. Some countries, especially landlocked countries, are marginalized in the process of economic globalization, which in turn hinders economic globalization. Meanwhile, some experts estimate that the mode of economic globalization characterized by tariff concessions can promote world economic growth by up to 5 percent, while the new type of economic globalization driven by interconnectivity can promote world economic growth by 10-15 percent. It is for this reason that President Xi Jinping proposed the Belt and Road Initiative to promote a new type of globalization. The initiative has been recognized and supported by more than 100 governments and international organizations and has the broad participation of the private sector across the world. What role does Asia play in promoting globalization and improving international economic rules? Faced with the rise of anti-globalization sentiment and trade protectionism, Asian leaders have jointly voiced their firm support for economic globalization and trade and investment facilitation through various platforms, and have actively promoted regional integration. In May 2018, the leaders of China, Japan and the Republic of Korea met and reiterated that they should jointly safeguard free trade and promote regional economic integration. The Qingdao Declaration of the Shanghai Cooperation Organization Summit in June pointed out that economic globalization and regional integration are the general current trend, so all parties should safeguard the authority and effectiveness of WTO rules, consolidate an open, inclusive, transparent, non-discriminatory and rule-based multilateral trading system, and oppose any form of trade protectionism. In mid-November, the East Asian leaders' meetings proposed trade facilitation in East Asia should be further strengthened, e-commerce and the digital economy should be promoted, and RCEP negotiations, covering nearly half of the world's population and nearly one third of its trade volume, should be completed as soon as possible. As supporters of the multilateral free trade system, many share common views on improving trade liberalization and investment facilitation, resisting protectionism and unilateralism, and addressing climate change. At a time when global economic growth is facing bottlenecks and trade rules are being challenged, Asian countries hope to work with countries in other parts of the world to set up a bridge for restructuring the international trade and economic order, formulate and maintain new rules, and contribute to the sustainable growth of the world economy. Currently, there are many high-level exchange platforms such as the World Economic Forum and the Asia-Pacific Economic Cooperation Economic Leaders' Meeting. Moreover, China has initiated events including the Belt and Road Forum for International Cooperation and the World Internet Conference. What are the unique features of the BFA compared to other platforms? How can its competitiveness and attractiveness be maintained? Some of these platforms are intergovernmental international conferences and some are nongovernmental forums. Every one of them has its own characteristics and plays a very good role. The annual meeting of the BFA covers various aspects of Asia, emerging markets and the world economy. Its participants include state leaders, government ministers, executives of the world's top 500 enterprises and other business leaders, as well as opinion leaders. It is a top-notch "feast of ideas" in terms of the popularity, depth and breadth of its topics for its participants. The BFA is willing to strengthen exchanges with other platforms. For example, it has exchanged observers with the World Economic Forum and is willing to carry out more win-win cooperation with other forums.